Although most people have a vague idea of what private healthcare is, the different terms that are associated with the topic can be somewhat confusing for the general public.Most people have read about, heard about in the news or may even already have private healthcare, but it is always beneficial to have a more detailed understanding of the subject area. Private healthcare is a term given to describe treatment given to patients that is not funded by the NHS. Often these patients will receive private healthcare as part of their employment package whilst others will purchase treatments for themselves or buy their own health insurance that will cover them in the event of any health treatment needed in the future. 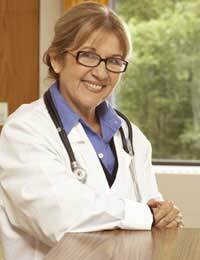 Private health insurance is a scheme in which individuals buy a policy or have it included as part of their employment package that enables to be safe in the knowledge that in the event of them needing any operations or many non-surgical treatments, that they can enjoy the benefits that private healthcare can bring. It does not necessarily mean that they will not have any waiting time but usually it is shorter than that experienced by NHS patients and they usually have more options regarding which hospital they are treated at, which doctors are responsible for their health and quite often, though not necessarily better, a more modern hospital setting. The insurance provided will vary from person to person as there are often some exclusions to individual policies depending on the state of their current medical status.In the event of an emergency, those with private health insurance will continue to retain the right to receive NHS treatment which normally requires them to attend an NHS hospital. Private hospitals are the institutions where private patients are most commonly treated. They are built by the private health company and run as a business using monies received from their patients or their insurers. Most do not operate to gain huge profits and some in fact work on a not-for-profit basis and ensure that all extra funding is spent on improving the services, staff training or other issues that will ultimately benefit the business for the needs of the clients. It is not only private patients that are treated in private hospitals however, as the NHS managers are now reducing waiting lists by funding NHS patients treatments in private health hospitals.Although this is not hugely common, it does appear to meet the targets set by NHS bosses and indeed get patients treated earlier than if they had to wait on the NHS waiting lists. Private patients are those who are receiving their treatment though their private healthcare provider. This does not necessarily mean that they will be treated in a private hospital as many private patients can be treated in NHS hospitals alongside NHS patients. When this occurs the private patients are usually scheduled in the same way as NHS patients and are planned according to need but occasionally there may be provision for staff to be paid by the private healthcare provider/insurer so they will sometimes be asked to work in excess of their NHS contract and receive funding from the said provider or insurer. In order to understand the intricacies of private healthcare a good understanding of the basic terminology used within the subject is very useful. It is also beneficial for those who are contemplating private health insurance or are seeking private healthcare, and comparisons to the NHS can be seen more easily.